This week, the Murphy Animal Shelter is featuring two adorable puppies who are full of joy and eager to find new homes! 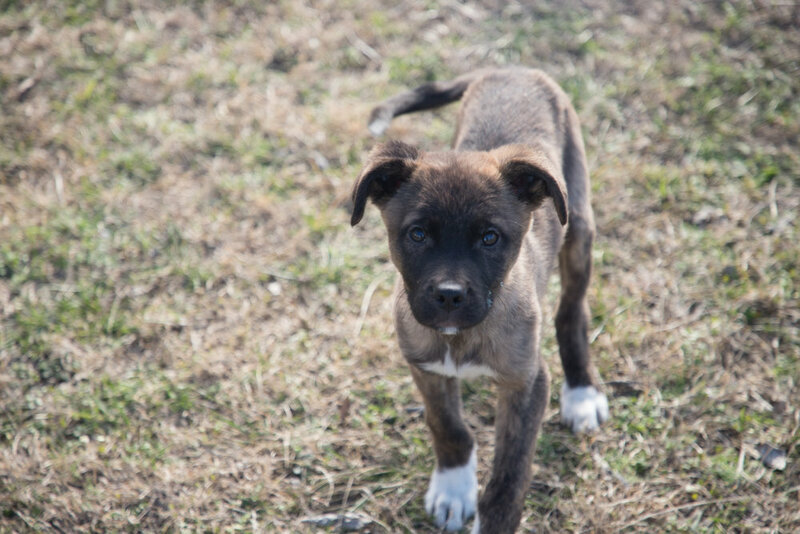 Junior is a 12 week old male Plott Hound who is full of energy and loves to play. He has soft, brindle fur and the cutest puppy eyes and ears. There’s no doubt you’ll want to spend every day with this amazing dog. Junior makes a great friend and will grow to be a very loyal companion. You’ll go on many adventures with Junior as the new member of your family! Sadie is a female mountain dog Rottweiler mix. She is about fourteen weeks old and super loving and playful. Sadie is always up to have some fun and dedicated to the classic game of catch. Even if the ball is too big for her mouth, she will still find an (adorable) way to get the ball back. There will certainly be no shortage of cuteness when Sadie is around and you’ll absolutely want her as the newest member of your family. Junior is neutered and has an adoption fee of $45. Sadie is not spayed and has an adoption fee of $85. Want to give one of them a home? Please contact Officer Tammy Drake at 972-468-4226 or tdrake@murphytx.org. Stop by for a visit at the Murphy Animal Shelter located at 205 N. Murphy Rd. (behind old City Hall) Monday through Friday, from 8am to 5pm. Adopt today!